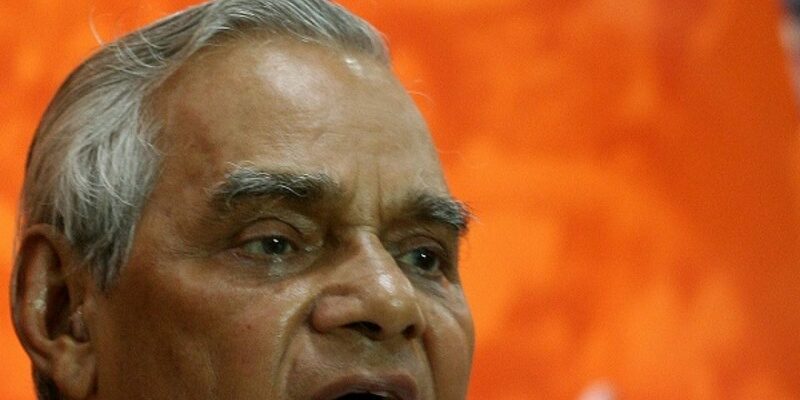 The speech generated a huge controversy in April 2002 not just because of its inflammatory contents but also because Vajpayee tried to mislead parliament by claiming an edited version issued by the PMO was the actual text. I was in Cambodia just recently. It is the Kamboj state of the past, where magnificent temples that kissed the sky were built in the tenth and the eleventh centuries. It had Hindu states ruled by Hindu kings. There were others too among the citizens, but there was justice towards all. Sometimes the kings also used to fight among themselves. The wheel of victory and defeat rolled on. But during their centuries’ long history there isn’t a single instance of a Hindu king destroying temples or breaking idols when he attacked another Hindu king. The kings who were victorious used to build a new temple. If Vishnu was being worshipped there earlier, later Shiva began to be worshipped. If Shiva was being worshipped at one time, then other deities began to be worshipped later. Nevertheless, no king destroyed a temple or damaged the deities’ idols at the time of attacking another king. This is our culture. This is our outlook, which treats all faiths equally. Yet, accusations are being hurled today that secularism is under threat. Who are these people accusing us? What is the meaning of secularism for these people? India was secular when Muslims hadn’t come here and Christians hadn’t set foot on this soil. It is not as if India became secular after they came. They came with their own modes of worship and they too were given a place of honour and respect. They had the freedom to worship God as per their wish and inclination. No one thought of converting them with force, because this is not practiced in our religion; and in our culture, there is no use for it. Today the 100 crore people of India are engaged in creating their future on the basis of their own culture. Sometimes, minor incidents do take place here and there sometimes they take the form of major incidents. But if you go to the root of these incidents, you will find intolerance, you’ll find them to be a manifestation of growing intolerance. What happened in Gujarat? If a conspiracy had not been hatched to burn alive the innocent passengers of the Sabarmati Express, then the subsequent tragedy in Gujarat could have been averted. But this did not happen. People were torched alive. Who were those culprits? The government is investigating into this. Intelligence agencies are collecting all the information. But we should not forget how the tragedy of Gujarat started. The subsequent developments were no doubt condemnable, but who lit the fire? How did the fire spread? Ours is a multi-religious country, a multi-lingual country, we have many different modes of worship. We believed in peaceful and harmonious co-existence. We believe in equal respect for all faiths. Let no one challenge India’s secularism. I have read somewhere in newspapers that the Congress Party has decided not to try to topple my Government. Shall I thank them for this? Or shall I say that the ‘Grapes are sour’? How will the Government fall? Once they did topple it, but they couldn’t form one themselves. Then a fresh mandate from the people was called for, and the people once again gave us an opportunity to serve them. For us the soil of India from Goa to Guwahati is the same, all the people living on this land are the same. We do not believe in religious extremism. Today the threat to our nation comes from terrorism. Wherever I went around the world, the heads of state or of elected governments complained to me that the militant Islam is sowing thorns along their paths. Islam has two facets. One is that which tolerate others, which teaches its adherents to follow the path of truth, which preaches compassion and sensitivity. But these days, militancy in the name of Islam leaves no room for tolerance. It has raised the slogan of Jehad. It is dreaming of recasting the entire world in its mould. You will be surprised to hear this—indeed, I too was surprised—that some terrorists belonging to Al-Qaeda were arrested in Singapore. The rulers of Singapore couldn’t even have imagined that Al-Qaeda would be active in their country, too; that Al-Qaeda would hatch a conspiracy in Singapore too. Some fifteen or sixteen persons were arrested, an investigation is underway, which will reveal the truth. The same is happening in Indonesia. The same is happening in Malaysia. Wherever Muslims live, they don’t like to live in co-existence with others, they don’t like to mingle with others; and instead of propagating their ideas in a peaceful manner, they want to spread their faith by resorting to terror and threats. The world has become alert to this danger. As far as we are concerned, we have been fighting against terrorism for the past 20 years. Terrorists have tried to grab Jammu and Kashmir through violence, but we have countered them. Jammu and Kashmir is an integral part of India, and will forever remain so. No other country’s dream will ever, come true. Now other nations in the world have started to realize what a great mistake they did by neglecting terrorism. Now they are waking up, and are organizing themselves. They are putting together an international consensus against terrorism. We tell them through our own example that a large number of non-Hindus live in our country, but there has never ever been religious persecution here. We have never discriminated between ‘our people’ and ‘aliens’. The modes of worship may differ, but God is one. Only the paths to reach Him and realize Him can be different. It is for this reason that India’s prestige is growing, India’s reputation is rising. I have also had an occasion to visit many other countries. Everywhere Muslims live in large numbers. And the rulers in those countries are worried lest those Muslims embrace extremism, We told them that they should educate people on the true tenets of Islam, that they should also teach other subjects in madrasas. Islam too should be taught, but emphasise that people should live together and that it is necessary to accept that faith cannot be propagated on the strength of the sword. Note: This is the English text of the speech delivered in Hindi, by Atal Bihari Vajpayee in Goa on April 12, 2002, checked against the audio original. This text was published in Gujarat: The Making of a Tragedy (Penguin, 2002), edited by Siddharth Varadarajan. The official English version released by the PMO which added the word “such” after “Wherever” and before “Muslims” in the first sentence of the third last paragraph may be accessed here. Siddharth Varadarajan’s 2002 analysis of this speech may be read here.